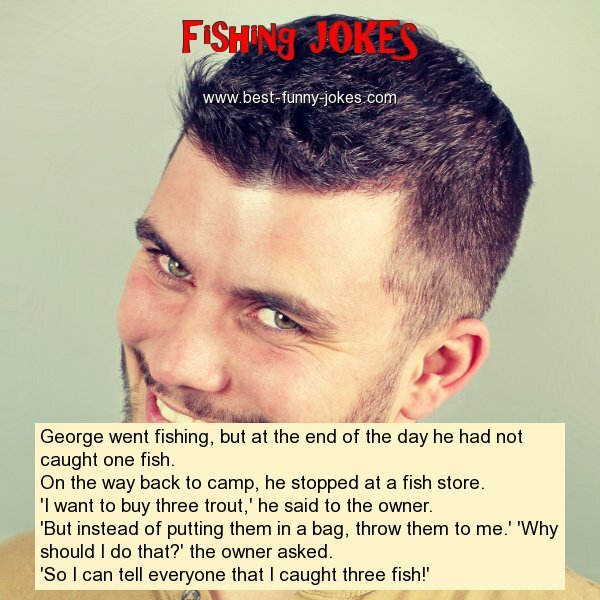 George went fishing, but at the end of the day he had not caught one fish. 'I want to buy three trout,' he said to the owner. 'But instead of putting them in a bag, throw them to me.' 'Why should I do that?' the owner asked.